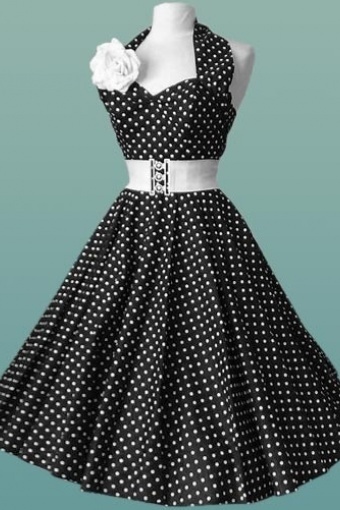 This wonderful Polka Dot dress is made of 100% Cotton. Exclusively at TopVintage. These stunning dresses hit the Press over and over this year sported first by Kate Nash followed by Nigella Lawson then Charlotte Church. They have been selling like wildfire. Is it any surprise. Can you really beat those cheeky spots. 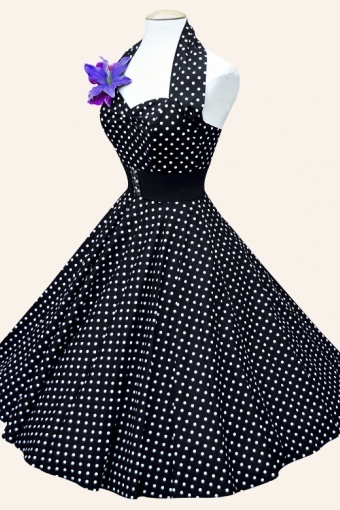 This dress is amazing the bodices are boned and lined to give you that great pin-up bullet shape. It lifts your bust while nipping in your waist to accentuate those curves. Back zipper. You can look the bell of the ball or the wonder at any wedding in this beautifully flattering style.The listing is for the dress alone, flower and luxurious petticoats are available!